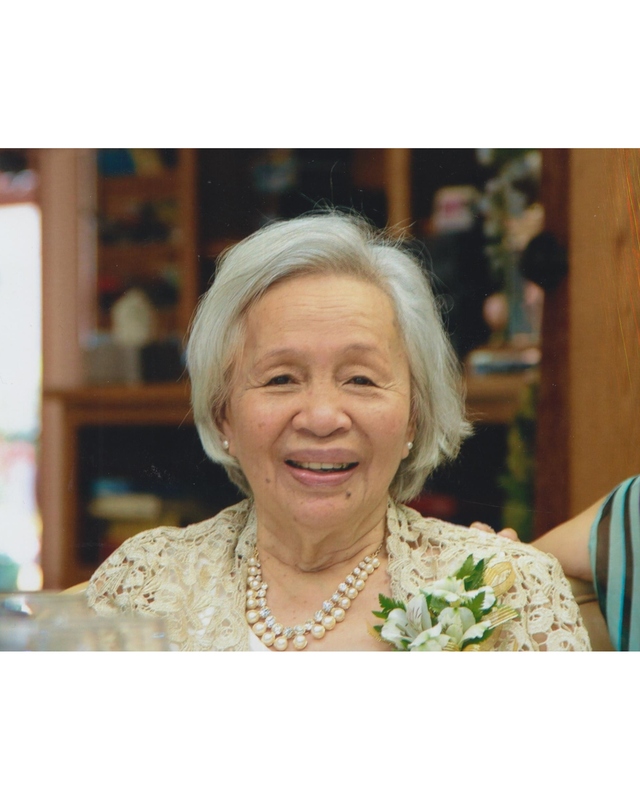 On Thursday, November 24, 2018, Lydia Rojales Nazareno, loving wife, mother and grandmother, passed away peacefully at age 84. She was lovingly surrounded by family and friends. She was born on March 27, 1934 in San Juan, Philippines. She had received her Medical Technology degree from the University of Santo Tomas and worked in the medical field for 10 years. On May 22, 1965 she married Domingo Nazareno. They raised one daughter, Eilene, and two sons, Erwin and Darren. Lydia was passionate about her family and her Catholic faith. She loved cooking traditional Filipino dishes and enjoyed traveling throughout the world with her husband. During her retirement years, she found great joy in affectionately caring for her grandchildren. Lydia was preceded in death by her husband, Domingo. She is survived by her children, Eilene and Arnel Catalan, Erwin and Gina Nazareno, Darren and Tina Nazareno, and by her grandchildren, Kristian, Alexa, Carlo, Gianna, Kaden, Noah and Ava. A memorial will be held on Monday, December 3rd, 2018 at the Darling Fischer Memorial Chapel on 231 E Campbell Ave., Campbell, CA from 5 to 9 pm. Funeral services will be on Tuesday, December 4th, 2018 at St. Lucy Parish, 2350 Winchester Blvd., Campbell, CA at 11:30am with internment at Los Gatos Memorial Park, 2255 Los Gatos Almaden Rd., San Jose, CA.